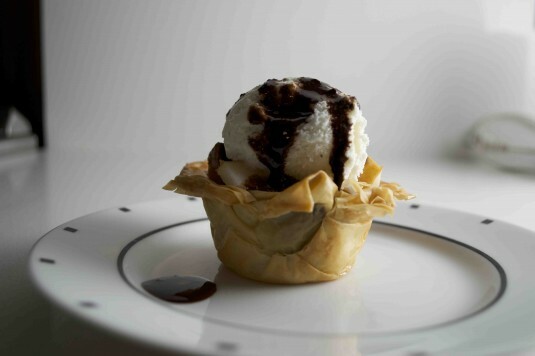 A short while later, there they were, phyllo cups for dessert. Phyllo pastry, brushed with melted butter, sprinkled with a bit of sugar and baked. a sprinkle of Macedonian feta (my all time favorite) on the bottom, grilled figs piled in on top, then another crumble of feta, some chopped mint, and, as last sweet gesture, a drizzle of Jane’s honey from the market. I can’t speak for anyone else, but I was quietly stunned by the magnificence of it: the crisp phyllo, the grilled figs still warm, the creamy feta, the mint, the honey. 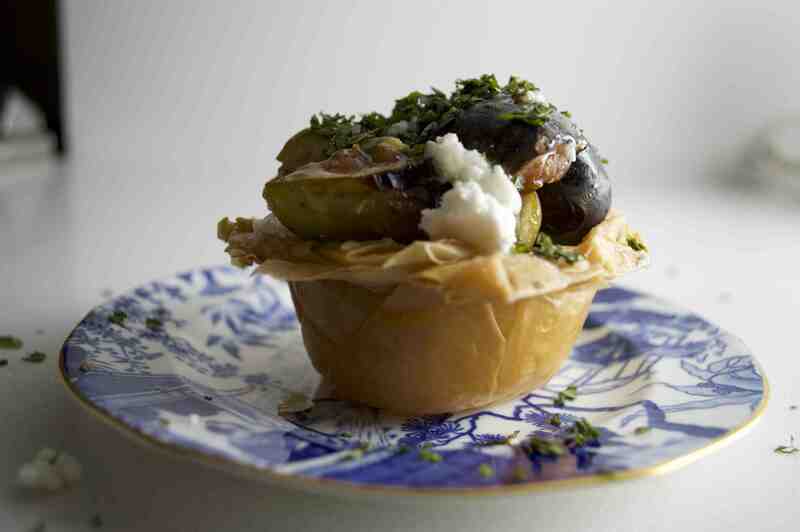 I’ve made phyllo cups for dessert again a couple of times, always for with figs, and always for dinner parties. 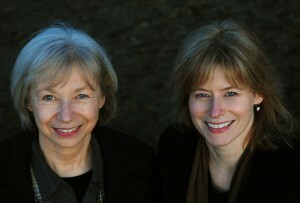 Why mess with success, after all? Still, I’ve had to recognize that Kris had introduced me to a perfect delivery system for dessert. Apart from texture and taste, both splendid, they contain a little flour, a little butter and a little sugar, but not a lot of any of them. They can be made ahead and kept hours or even days before they’re used. They can be filled with anything the kitchen offers. And they can be made on impulse, as long as you buy fresh phyllo. It seems to keep forever in the fridge. • Any variation on a scoop of ice cream, with or without fruit. It’s hard to beat pear, vanilla ice cream and chocolate sauce (David Leibowitz’s excellent and easy chocolate sauce is the best ever), with a few chopped pistachios on top. • Lime or lemon curd with fruit. So far I’ve tried lime curd lightened with cream cheese – yogurt or whipped cream would have been fine too – topped with mango slices. This summer, I think I’d keep the lime curd mixture and swap out the mangoes for blackberries or blueberries. • And the seasonally appropriate suggestion: mincemeat in phyllo cups. You might want to use the smallest muffin cups you can find, unless you if you cut the intensity of the mincemeat with softened cream cheese or mascarpone. Most of the time I ignore requests in recipes for unsalted butter, especially if there’s butter in the ingredient list. I’m just not that finely calibrated for salt. But in this case, I think it makes a difference. It’s a matter of taste: if you like the contrast of sweet and salty, then by all means use salted butter. If you want a less complicated sweetness, then use unsalted. Cut the phyllo sheets into quarters. 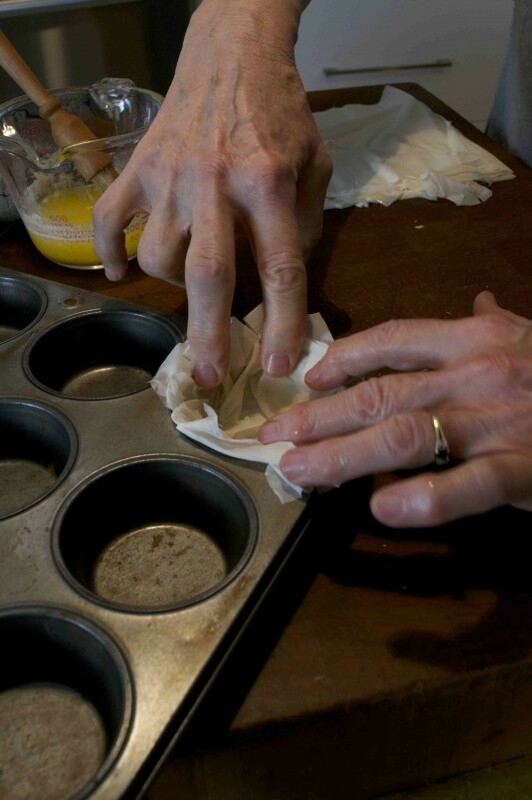 Brush the top sheet with melted butter, sprinkle with sugar, fold in half lengthwise, and press into a muffin cup. Brush the second sheet with butter, sprinkle with sugar, and lay it crosswise across the first sheet. Crimp the edges, and brush them with butter. When the pan is full, bake for 10 minutes in a 350-degree oven, then check. They are cooked when they are richly brown at the edges, a lighter brown, but still brown in the bottoms of the cups. Treat them like muffins: turn them up in the pan so the bottoms don’t get soggy. 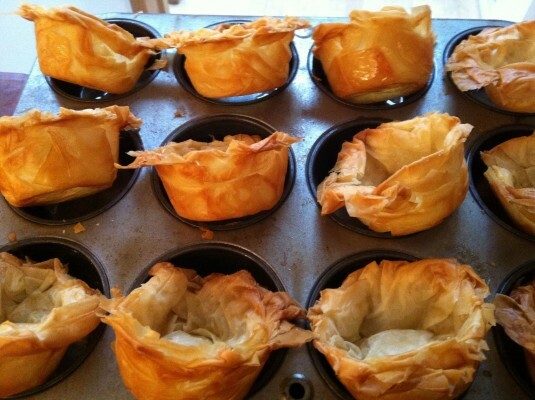 Phyllo cups are surprisingly sturdy. Once they’ve cooled, you can store them at room temperature in a plastic bag. 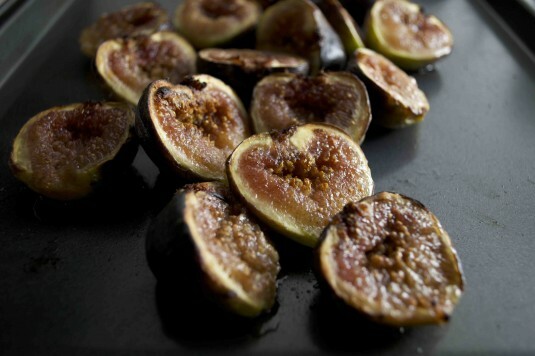 If you keep them more than one day, re-crisp them by heating them in a 350 degree oven for five minutes.